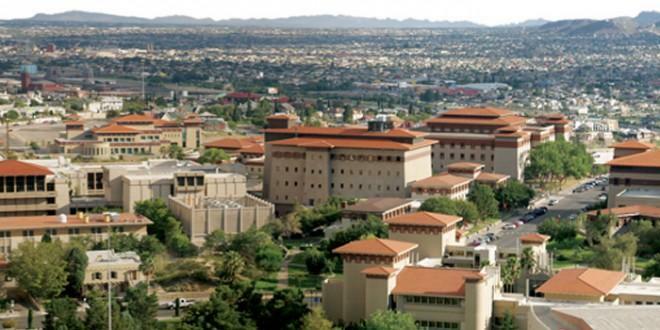 The national spotlight is once again on The University of Texas at El Paso with the release of a study by the Brookings Institution ranking UTEP No. 1 for performing well in both research and social mobility. The full report, “Ladders, labs, or laggards? Which public universities contribute most,” by Dmitrios Halikias and Richard V. Reeves, is available online. The Brookings study examined the performance of 342 public universities along two value dimensions that are commonly used to justify public investments in them: research productivity and student social mobility. After first identifying the institutions that promote knowledge through research and those that promote social mobility (defined as those with the highest share of students from the bottom 20 percent of U.S. household incomes), the researchers sought to determine which universities perform well in both research and social mobility. “This No. 1 ranking is yet another strong validation of UTEP’s success in delivering on our access and excellence mission, and our quest over the past 25 years to be the first national research university with an authentically 21st century student demographic,” said UTEP President Diana Natalicio. “It contributes significantly to UTEP’s growing visibility as a U.S. higher education leader, and adds value to all UTEP graduates’ diplomas. “I want to thank all of those who have played a role in UTEP’s success through their commitment to our mission and many contributions to our progress in achieving it,” she said. The Brookings Institution is a nonprofit public policy organization based in Washington, D.C.